We take your questions about names on Holiday cards, how to insist on cooking the meal?, recommendations - after a few years and cultural differences in wedding plans. 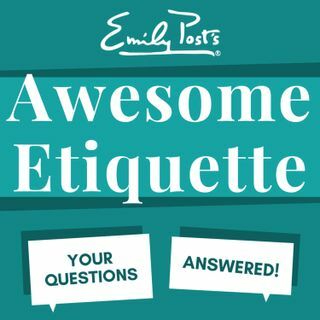 Plus your feedback, etiquette salute and postscript segment on “The Courteous No”. For sustaining members your question of the week is about walking to a table and who should go first.